"A FAMILY OWNED AND OPERATED STUDIO IN THE HEART OF MISSISSUAGA"
JC Dance Troupe is a dance studio in Mississauga, Ontario that has been offering dance classes for over 18 years. Joanne and Carly Cuisia are a mother and daughter duo that have been in the dance and performing arts industry for many years. 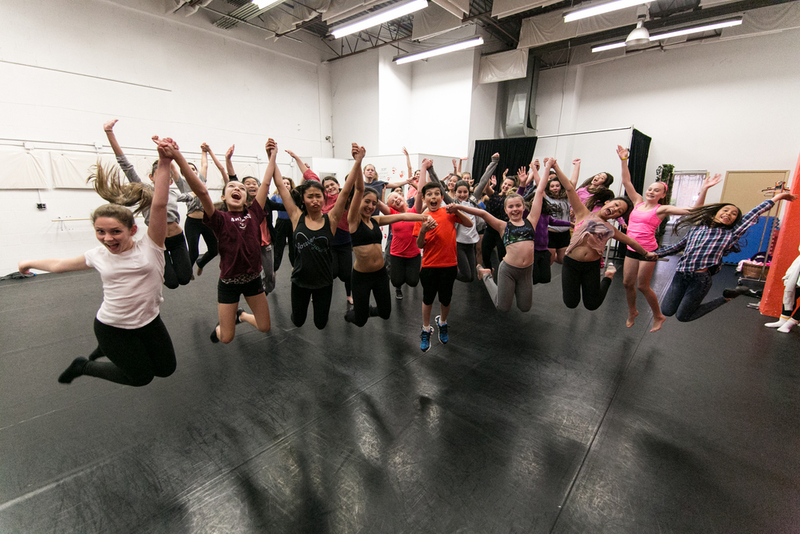 Together they have made JC Dance Troupe a fun and friendly environment where their dance students are motivated to learn and inspired to be creative. Our summer camp is a “triple threat” program that provides instructional classes in acting, singing and dancing. This program is designed to provide a fun environment for children to learn and perform songs of past and present-day music, dance of varying styles such as jazz and hip hop, and drama performance. The skills learned are packaged, choreographed and rehearsed for a final-day “triple threat” performance in a musical revue setting in front of a live audience! Camp participants receive training from fully qualified instructors with extensive background and many years of experience in the entertainment industry. At JC’s Disney Dance Camp every little dancer will get the full princess and prince experience. Each day will consist of Disney inspired dance routines, sing-a-longs as well as arts and crafts. All students will learn Disney routines and sing-a-longs from their favourite Disney shows and Disney movies. From Princess Sofia to Frozen, our dancers will learn rhythm and coordination while enjoying music from their favourite Disney programs. By the end of the week, all our students will present a special performance created and choreographed to showcase what they’ve learned throughout the week. All family and friends are welcome to watch their little one graduate as a JC Princess/Prince! 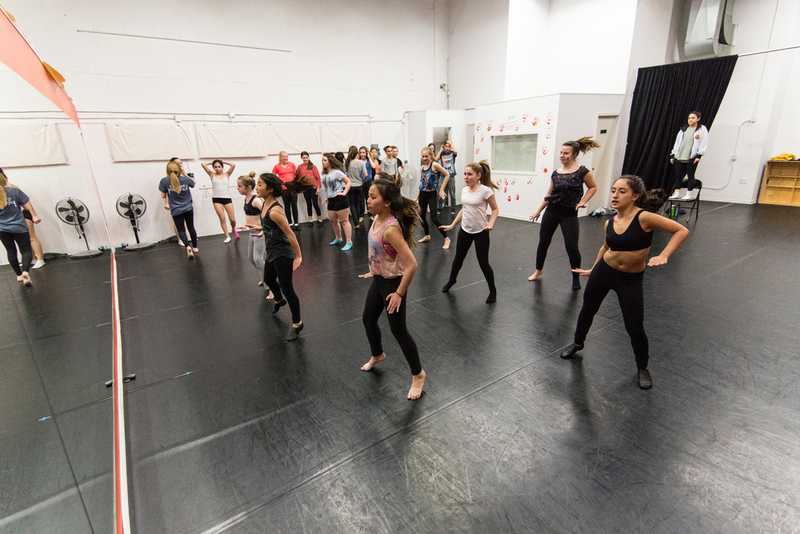 Our JC Dance Workshop is a fun two day camp that gives dancers of all levels a chance to experience a variety of different styles from a variety of different choreographers. Dancers will take classes such as jazz, stretch and strength, hip hop, lyrical, modern and more! This workshop is extremely beneficial as students will expand their dance skills and get ready for the new dance year. This workshop is open to the public and encouraged to our JC-ers! Registration for 2018-2019 Dance Season - We are now accepting registration for the upcoming dance season. Please come and visit our studio for our Open House and Registration between 5:30pm and 7:00pm on July 4 and July 5. If you happen to miss these dates, no problem because you can email us for more information, or call at 416-529-5604 to register. Studio Location - JC Dance Troupe is located at Ridgeway & Sladeview. Our address is 4181 Sladeview Crescent, Unit 48, Mississauga L5L 5R2. Our sign can be seen driving along Ridgeway just south of the bridge over Hwy 403. Look for this when driving on Ridgeway or Sladeview! Please complete this registration form to enroll into the JC Dance Troupe (JCDT Inc.) programs. Please enter name of student to be registered. Use fields provided (Student 2 & 3) for additional students to register. Please enter the name of the Parent submitting this registration. This is also the contact in case of emergency. Optionally enter another contact in case of emergency. I agree that JCDT Inc., its Instructors, Supervisors and Staff, are exempt from liability for any injury or disability that might be incurred during or as a result of, but not limited to, dance, movement, physical exercise, theatre performance, class activities, class breaks and extended supervision in any of the programs run and operated by JCDT Inc. I have read and agree to the JCDT Inc. Schedule A - Prices and Payment Schedule 2018-2019. I agree to submit $30 annual registration fee to complete this registration. I give consent to JCDT Inc. to include me in all email communication that pertain to JCDT Inc.'s dance program. You have submitted your registration for JC Dance Troupe. Thank you!